FISHTOWN (WPVI) -- An RV caught fire on Interstate-95 near Girard Avenue Saturday afternoon. It happened before 3 p.m. in the southbound lanes. 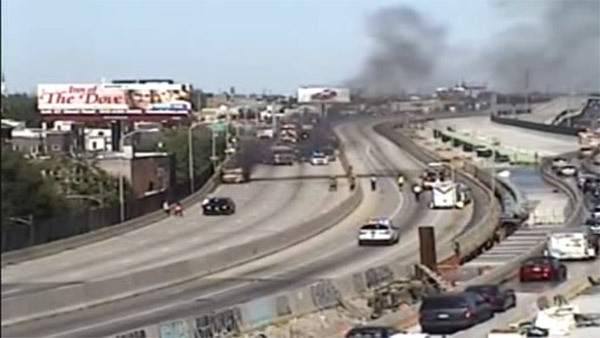 The fire forced the closure of Interstate-95 in both directions. Both the northbound and southbound lanes have since reopened.